"A new commandment I give to you, that you love one another. Just as I have loved you, you also must love one another. By this everyone will know that you are my disciples, if you have love for one another." John 13:34-35 NHEB. Previous Bible study lesson: 613 Commandments #5.13. 1) What is the New Commandment? 2) Why does the Law of Christ exist? 3) How do you obey Jesus' Commandment? There is so much confusion in Christian life about the use of the Ten Commandments. Why is there one set of commandments in the Old Testament but suddenly there is this thing called "Jesus' Commandment" in the New Testament? This will be an incredibly important Bible study for your Christian walk. You'll gain knowledge that's hard to come by and hidden from most people, theologians included. This study isn't for the spiritually meek or cowardly. Pull up your boot straps, tighten your belt of truth, and put on your helmet of salvation. You're entering the spiritual battle zone against a ticked-off satanic army. I hope your spiritual life will be transformed like mine has from this study. Let's get started. The Old Covenant, aka Old Testament and the Law, was glorious and used greatly by God in growing his people's knowledge of their coming Messiah. The Law is good, but, sin stops us from obeying it. We are fallen and the Law tells us so (Romans 7:14-16). The Old Covenant ended in death and condemnation, though, because the sinful nature of man prevented everyone from obeying its laws. God himself saves, the Law does NOT. The Old Covenant wasn't intended by God to save people's souls. It only brought knowledge, conviction, and guilt, which finally resulted in a curse (Romans 7:11-13). That is one of the Law's purposes - to reveal God's curse on sinful humanity (Galatians 3:10-11). Most assuredly the Law was important, and still can be, with its goal being Jesus Christ (Matthew 11:13). The Old Covenant's purpose was to usher in the Messiah. The Covenant directly pointed to Jesus Christ (John 5:39-40; Romans 3:25-26). 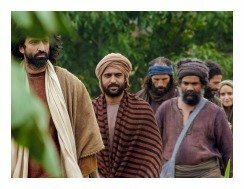 True spiritual Jews looked to the coming Messiah to save them, and when he came he did, in fact, save them from condemnation and eternal death (John 3:17; Hebrews 9:15). Hold this thought inside your soul while we focus more on the Law. For a moment, let's look at what the Old Covenant Law did not do. The Old Covenant didn't change a sinner's heart. It didn't forgive and finally remove one's guilt. It didn't permanently redeem, justify, or pardon anyone. The Law does not save souls, but it is a critical part of God's plan of redemption (Romans 5:20). The New Covenant accomplishes all these things the Old Covenant wasn't meant to do. What the Old Covenant could not accomplish the Son of God did by fulfilling it himself, because he alone could obey the law perfectly. He succeeded when all others failed. Jesus Christ came to earth to fulfill the Law (Matthew 5:17-20), which he did. Jesus Christ ALONE appeased the wrath of God when ALL humans were unable and unqualified. We are ALL still unable to perfectly obey God's law, and that includes both you and me (Romans 3:20). On top of all that, God's full Law included the need for a sacrificial death for humanity's sins, of which Jesus also fulfilled, thereby appeasing the Father (Hebrews 10:12-13). The Apostle Paul tells us the Old Covenant, aka Old Testament, has been replaced with the New Covenant, aka New Testament. The author of Hebrews says the same, "When God speaks of a "new" covenant, it means he has made the first one obsolete. It is now out of date and will soon disappear" (Hebrews 8:13; 10:1; 10:9). But, does the new law sound much different than the old law, specifically the Ten Commandments, which mostly deal with morality? The Law of Christ (1 Corinthians 9:21) calls us to a faith in action that loves others, forgives others, and shares the burden of others. Listen to this command, "Bear one another's burdens, and so you will fulfill the Law of Christ" (Galatians 6:1-3). Jesus' Commandments call us to love others so much that we help them through their sin, and back into beautiful fellowship with God and others. We're not to stop at our neighbor's sin, though, meaning we're to share their burdens of pain, distress, persecution, sickness, loss, and grief. We are to help one another through all of life's many difficulties. The Law has ALWAYS been to love God and love one's neighbors. Why are we so surprised about all this? The Law's purpose has NEVER changed! (read Deuteronomy 6:5; Leviticus 19:18; 2 John 5). The Law points us to Christ (Romans 3:19-20), who in turn, points us to love God and other people. What HAS changed with the New Covenant is that we now have the Spirit of Christ living in the hearts of true believers (Ezekiel 36:26-27). The Spirit empowers us to live more intimately with God and at a higher level of obedience to him. We're now greatly motivated towards obedience by the love shown in Jesus' life and death. He died for us, so now we live for him (Titus 3:4-8). This all makes perfect sense, doesn't it? 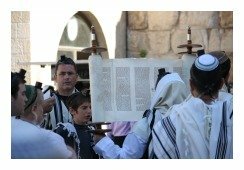 So, what use is the Old Covenant now? What is edifying about reading the Old Testament? First, We learn about God. We learn about humanity. We also learn from the Hebrews' relationship with God (1 Corinthians 10:11; Ephesians 2:7). Secondly, we stand in amazement of the Old Testament prophecies and their fulfillment in Christ Jesus. The Old Covenant, therefore, builds our foundational faith in Jesus Christ (Luke 24:25-27). Finally, the Law exists for the rebellious person, to give him or her knowledge and conviction of sin (1 Timothy 1:9). The Law, in fact, still exists for pointing a sinner to Jesus Christ (Galatians 3:19; Romans 3:20; 7:7-8). Can YOU see Jesus? Can YOU now see why our focus has shifted to Jesus' Commandments? Let's turn our attention to learning more about the Law of Christ, his New Commandment (John 13:34-35). If the Old Covenant is explained throughout the Old Testament, then it goes without saying that the New Covenant is found throughout the New Testament. God used the prophets to write his story and his words in the Old Covenant, and Jesus used his apostles to write his story and his words in the New Covenant. The Old Covenant pointed the Hebrews' hope towards the New Covenant and its Messiah (Matthew 11:13; Romans 3:25-26). Don't you love this knowledge? I told you this would be a terrific study!! It gets even better, believe me. Pure belief in the two Testaments of the Bible is tantamount to belief in God. To deny the Bible as straight from God's throne is: defiant unbelief (Matthew 22:29), proud heresy (Matthew 15:6), and an eternally damnable activity (Mark 8:38). Humble repentance is in order if you find yourself in such a terrible place of unbelief. Jesus' commandments are found throughout the entire New Testament. Christ fulfilled the Old Covenant, and then ascended to heaven to be our High Priest (Hebrews 10:12-13). Jesus Christ ascended but left his Church the Holy Spirit and his word, which is found in the Bible (John 16:5-10). This New Testament explains the mystery of the New Covenant between God and humanity (1 Corinthians 2:7). It's the written documentation of the fulfillment of the beautiful redemption story. Nothing can be added to the Scriptures, and nothing can be taken away (Revelation 22:18-19). God forbid that you allow the biases of modern science, or some cult's extra-biblical teachings, to shipwreck your pure belief in God's Bible. That ultimate failure will lead to your soul's destruction. We have Christ's words now firmly established throughout the New Testament. Christ's Law (aka the Law of Christ, Law of Liberty, Royal Law, or the New Commandment) is what Christians are expected to live by (2 Timothy 3:16-17). To truly follow Jesus Christ we MUST follow the New Testament. We have a severe warning given us to protect us from damnable hypocrisy (Hebrews 10:26-31). Don't dare say you follow Christ when you trample Him and his word under your feet. Flee from your dark sin towards the One who brings the Light (John 12:35-36). Before going further, please understand that faith alone, in Jesus Christ alone, saves your soul (Ephesians 2:8-9). Grace alone, from Christ alone, keeps you saved (Galatians 3:1-3). Obeying Jesus' commandment, and believing his entire word, displays your heartfelt thanks to God for your salvation. You don't gain or keep your personal salvation by your obedience or goodness, period. Good works and persistent, properly motivated obedience PROVES your faith to God and the watching world. Lack of good works, love for others, and disobedience to the Bible PROVES you have deluded yourself through misguided faith. Salvation is by faith, through God's grace, not of works. You cannot boast in your goodness, efforts, words, or works (Galatians 3:21-22). Jesus wants all of your heart, so give it to him. Your heart and actions will reveal to you if he has set you free from sin (John 8:34-37). Some people say that there are 39 of Jesus' commandments found in the New Testament. I find the number of his commandments very subjective, and don't feel the need to "go there," i.e. 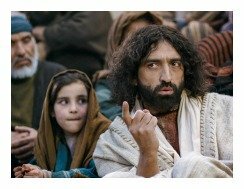 to specifically number Jesus' commandments. Here are some reasons why. First, "listing" Jesus' commandments may lead to the practice of legalism (2 Corinthians 3:6). The list-follower may fall into the devil's trap of strictly following the commands and concluding that God loves him or her because of obedience (Romans 7:6). Secondly, Jesus' commandments aren't just from his own mouth, but also written in the epistles of the New Testament. 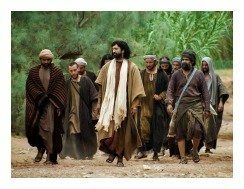 Jesus used the apostles to write his words, so the New Testament is full of his commands. Finally, Jesus' commandments are spiritual, and mean different things to different people at different times. They are not static and concrete, but meet people at their spiritual level (2 Cor 3:3). 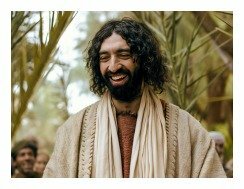 However, with these qualifications on the table, I'd like to offer a "partial" list of Jesus' commandments, starting with the two summary commandments. (See bottom of this page for a link to a list of 1,050 New Testament commands). The First and Greatest Commandment: "You must love the Lord your God with all your heart, all your soul, and all your mind" (Matthew 22:37-38). The Second Greatest Commandment, aka The Golden Rule: "Love your neighbor as yourself" (Matthew 22:39; 7:12). These Two Great Commandments are the basis of ALL of God's Laws (Old Covenant) and ALL of the Laws of Christ (New Covenant). All biblical law, both Old and New Covenants fall under these two mighty, over-arching Laws of God and Christ. (Deuteronomy 6:5; Leviticus 19:18; Matthew 22:40; 2 John 5). "Repent of your sins and believe the Good News!" (Mark 1:15). "Believe in the One He has sent." (John 6:29). "The Scriptures cannot be altered." (John 10:35). "You must be born again." (John 3:7). "If any of you wants to be my follower, you must turn from your selfish ways, take up your cross daily, and follow me." (Luke 9:23). "Stop sinning!" (John 5:14; 8:11). "Stop complaining about what I said." (John 6:43). "I am the Way, the Truth, and the Life, no one comes to the Father but through Me." (John 14:6). "Anyone who obeys my teaching will never die!" (John 8:51). "Love your enemies! Pray for those who persecute you!" (Matthew 5:44). "Forgive those who sin against you, so your heavenly Father will forgive you." (Matthew 6:14). "Don't store up treasures here on earth... store your treasures in heaven." (Matthew 6:19-21). "You cannot serve both God and money." (Matthew 6:24). "Do not judge others and you will not be judged. For you will be treated as you treat others." (Matthew 7:1-2). "Whoever divorces his wife and marries someone else commits adultery against her. And, if a woman divorces her husband and marries someone else, she commits adultery" (Mark 10:11-12). "You must not commit adultery." (Mark 10:19). "I am sending you out as sheep among wolves." (Matthew 10:16). "You live by the sword you shall die by the sword." (Matthew 26:52). "Go and make disciples of all the nations, baptizing them in the name of the Father, and the Son, and the Holy Spirit. Teach these new disciples to obey all the commands I have given you." (Matthew 28:18-20). "Everyone who endures to the end will be saved." (Matthew 10:22). This list of Jesus' commandments is but a small taste of what he commands in the New Covenant. Being Christ's disciple isn't something to be taken lightly. Count the costs, my friend. Think eternally and give up your personal rights to God. Become a slave of Jesus (Romans 6:20-22) and enjoy real freedom. Jesus expects you to love these commands, doing your best to follow them. Remember the main point, Jesus fulfilled the commandments of God perfectly, therefore you must trust him for eternal life. That is your main and first assignment as his disciple - Trust in Jesus (John 6:29). Trusting God through Christ offers you forgiveness for all your sins and it grants you eternal life (John 5:24). Loving his commands and doing your best to obey them reveals a humble, childlike faith, which is the attitude Jesus expects from his disciples (Matthew 19:14). How do the 10 Commandments relate to the New Covenant? Are they still respected by Christ? These are good questions and the answers vary greatly amongst Bible scholars. Jesus and his apostles reaffirmed the Ten Commandments in the New Covenant. Really, they amplified them. The new covenant is called the "perfect law of liberty" which contrasts with the old covenant of death (Galatians 2:19), i.e. 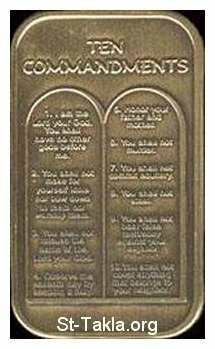 the Ten Commandments and God's entire Law. View the Ten Commandments as physical commands, because God expected physical obedience (Deuteronomy 6:25). Then, view Jesus commandment as spiritual, because the Holy Spirit enables a heart change before God expects physical change. The new covenant brings the believer a new heart before the believer learns new ways of living (Romans 8:2-3). Following the Law of Christ releases us from judgment and eternal death (James 1:25; 2:8-12), which the Ten Commandments never intended to do. 1st Commandment: “You shall have no other gods before Me.” Exodus 20:3, restated in Matthew 22:37-38 and Acts 14:15. 2nd Commandment: “You shall make no graven image.” Exodus 20:4, restated in 1 John 5:21. 3rd Commandment: “You shall not take the name of the Lord your God in vain.” Exodus 20:7, restated in James 5:12. 4th Commandment: “Remember the Sabbath Day, to keep it holy.” Exodus 20:8-11, restated spiritually in Matthew 11:28-30. Sabbath means "rest" and the New Covenant calls us to rest in Christ from our efforts to gain salvation. Jesus' rest is eternal (Hebrews 4:1-11). 5th Commandment: “Honor your father and your mother.” Exodus 20:12, restated in Ephesians 6:1. 6th Commandment: “You shall not murder.” Exodus 20:13, restated in 1 John 3:15. 7th Commandment: “You shall not commit adultery.” Exodus 20:14, restated in 1 Corinthians 6:9-10. 8th Commandment: “You shall not steal.” Exodus 20:15, restated in Ephesians 4:28. 9th Commandment: “You shall not bear false witness against your neighbor.” Exodus 20:16, restated in Colossians 3:9-10. 10th Commandment: “You shall not covet.” Exodus 20:17, restated in Ephesians 5:3. Most of these laws are moral laws, first given in the Old Covenant. The indwelling Spirit of Christ (New Covenant) brings Christians to a higher level of obedience to God's Law, now known as the Law of Christ. The Ten Commandments have essentially been "filled out" by Jesus' Commandments. Jesus wrote between the lines of the 10 Commandments! (John 8:4-8). They are now complete, and Jesus' Spirit gives us the knowledge, motivation, and power to follow them! The New Testament contains Jesus' New Commandment. Jesus stated, "If you love me you will obey my commandments" (John 14:15). Loving Christ is loving his commandments. Jesus' commandments are light, and they are easy to follow (Matthew 23:3-4), they are gratifying to the soul of a person who longs for love, truth, reality, righteousness, and eternal life (John 6:35). Loving Christ equates to loving God and loving other people. Loving Christ gives up your so-called personal rights, and serves God and other people. Loving Christ is total commitment to Jesus. Trying to obey these commandments on our own is futile and fruitless (Galatians 3:10-11). Don't even try (Romans 3:21). The place to start obeying Christ is on your knees, face buried in your hands, begging God for mercy. Ask for the Holy Spirit, the power of God, so that you can believe in Christ and follow the Scriptures (Romans 3:22). Upon Christ's response to your plea, you'll notice a warm, heavenly peace wash through your body (John 14:27). The living water from heaven then begins removing your old worldly loves (John 4:14). You'll soon notice a deep love for Jesus and other people. The experience is unmistakable. Jesus would never tell us to do something that he wants us to do in our own power. Faith is required for all true obedience, and God provides all the faith that we possess (Romans 10:17). Following the law of Christ is a call to faith and action. Faith begins this journey in the Spirit (Galatians 3:5); and by the Spirit of Christ believers produce the fruit of love (Galatians 5:22-23); and finally, through love we fulfill the law of Christ (Galatians 6:2). It is really that easy. Trusting Christ produces fruit, which results in love, thus fulfilling the Law of Christ (John 5:24). You won't be perfect, in fact, you'll completely fail at times. You'll really blow your testimony, too. However, because of the finished work of Christ and his faithfulness to his true disciples, you can be forgiven and renewed. Repentance keeps God's mercy upon you, renewing your faith in God. God is so full of amazing grace. Trust in Christ now, and eternally rest from your hopeless efforts to please God through good deeds. Next Bible study lesson: Catholic Ten Commandments #5.15. 1) Can a true Christian dislike certain people and please God in the process? Discuss. 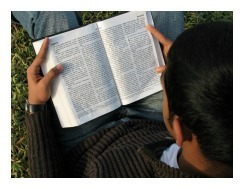 2) Are Christians misguided who prefer studying the Old Testament more than the New Testament? 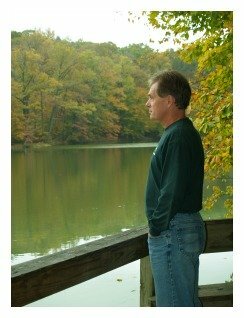 What might, but not necessarily, this preference indicate about their spiritual maturity? 3) Do pew-sitters need to fear Jesus' Commandments? Why or why not? There is therefore now no condemnation to those who are in Christ Jesus. For the law of the Spirit of life in Christ Jesus made you free from the law of sin and of death. For what the law could not do, in that it was weak through the flesh, God did, sending his own Son in the likeness of sinful flesh and for sin, he condemned sin in the flesh; that the ordinance of the law might be fulfilled in us, who walk not after the flesh, but after the Spirit. Romans 8:1-4 NHEB. But, beloved, we are persuaded of better things for you, and things that accompany salvation, even though we speak like this. For God is not unrighteous, so as to forget your work and the love which you showed toward his name, in that you served the saints, and still do serve them. We desire that each one of you may show the same diligence to the fullness of hope even to the end, that you won't be sluggish, but imitators of those who through faith and patience inherited the promises. Hebrews 6:9-12 NHEB. Dear Lord, I get it now. I understand the nature of your Law. You're holy, and we're not, and have no hope of becoming holy by your Law. The Law shows us that we're hopelessly sinful and unable to please you. But, thank YOU, Lord, for sending Jesus to come and fulfill that Law. Thank YOU for applying Jesus' life to our account. Thank You that the Law of Christ calls us to a higher place. Jesus' laws are easy, edifying, peaceful, and satisfying. The Holy Spirit gives us a love for your Law, and he gives us the power to obey. Lord, forgive my failures, my sin, my shame. Help me to love ALL my neighbors, and carry their burdens. Through the blood of Jesus, standing on your promises, Lord, I know you will enable me. You are truly a great, great God. In Christ's Name, Amen. Go in peace, my friend. I hope you enjoyed the Bible study lesson. Share on Facebook below and click for your Free Printable Bible Study Lessons: Jesus' Commandment #5.14. Click for your free printable List of the Ten Commandments. Please Donate to GG.com! New! List of the 1050 New Testament Commandments. Special Note: I'm grateful to Big Book Media & Free Bible Images, stock.xchng, Morgue Files, and Stock Photos For Free for the use of their photos for Jesus' Commandment Bible Study Lesson. Don't miss this incredible video showing you how to apply Jesus' Commandments to evangelism!